Use 1 capful (5 mL) for every 125 L (30 US gallons). 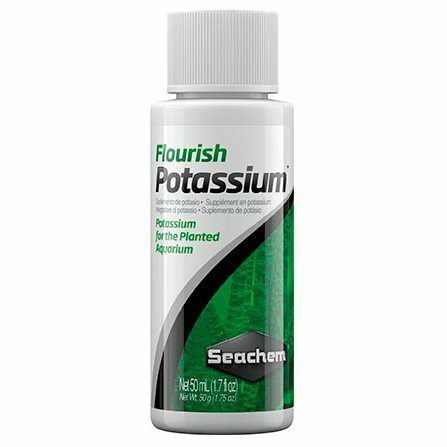 This dose raises potassium by 2 mg/L. 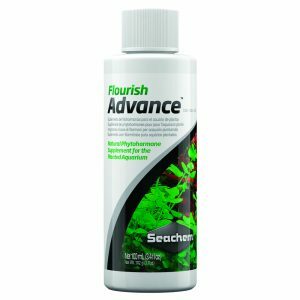 Repeat 2–3 times per week or as needed in response to signs of potassium deficiency in older leaves which include: chlorosis (yellowing), necrosis (death/browning), pinholes in leaves, and weak stems and roots.